The Warehouse at Mt. Victor is available for music events, your wedding reception, rehearsal dinner, literary club, shower, bridge club, Pharmaceutical dinner, or any type of meeting needing space for a presentation & dinner. The Warehouse at Mt. Victor is available to rent for all occasions. We can accommodate a large number of guest comfortably, with an outdoor area available for use. 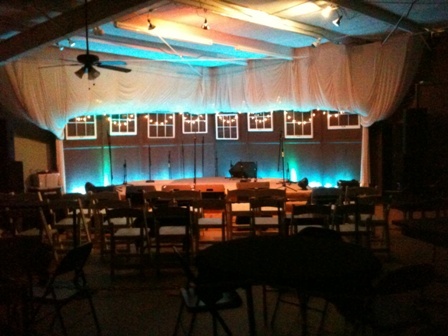 The Warehouse is available for music events, wedding receptions, rehearsal dinners, your literary club, shower, bridge club, Pharmaceutical dinner, or any type of meeting needing space for a presentation. Food is available if desired. All food served at The Warehouse at Mt. Victor is prepared by Michelle Deaton Catering. Outside food is permitted when venue is rented. Michelle Deaton Catering’s menu is limitless. She will prepare any type of cuisine that the customer desires. Although no one can be everything to everybody, Michelle Deaton Catering does aim to please each individual quest, so feel free to ask about any dish that comes to mind. We are open Monday through Saturday from 2-7 pm for guests to pick up orders. With adequate notice your order can be picked up hot & ready to eat. If at the last minute, you find you have forgotten to prepare a meal, a dish or discover you are hungry for something special, never hesitate to give us a call. The Warehouse at Mt. 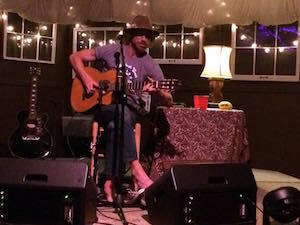 Victor features mainly Americana Music. Americana is an amalgam of roots music formed by the confluence of the shared & varied traditions that make up the American musical ethos; specifically those sounds that are merged from folk, country, blues, rock & roll. While acoustic instruments are often present & vital, Americana also often uses a full electric band. Artist that have played The Warehouse at Mt. Victor include : Guy Clark, Sturgill Simpson, The Lone Bellow, Sundy Best, Shovels & Rope, Todd Snider, Paul Thorn, Chris Knight, Rich Robinson of The Black Crowes, Ray Wylie Hubbard, Billy Joe Shaver, Justin Townes Earle, Lucero, Reckless Kelly, Micky & The Motorcars, Cody Canada & The Departed, Elizabeth Cook, Buddy Miller, Houndmouth & many more. Contact Us Today for booking and planning your next event! 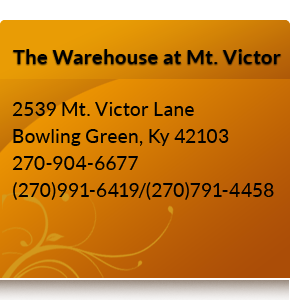 © Copyright 2015, The Warehouse at Mt Victor.